50s Pink Poodle Earrings.Includes: One Pair of 50s Pink Poodle Earrings. Available Size: One Size Fits Most Adults and Teens. *Costume and Accessories Not Included. Sold Separately. These Pink Poodle Earrings make the perfect addition to your 50's costume. The Pink Poodle Earrings are great with your Pink Ladies Jacket and your Poodle Skirt for the perfect 50's outfit. Includes: One Pair of Clip-On 50s Pink Poodle Earrings. These Pink Poodle Earrings make the perfect addition to your 50's costume. 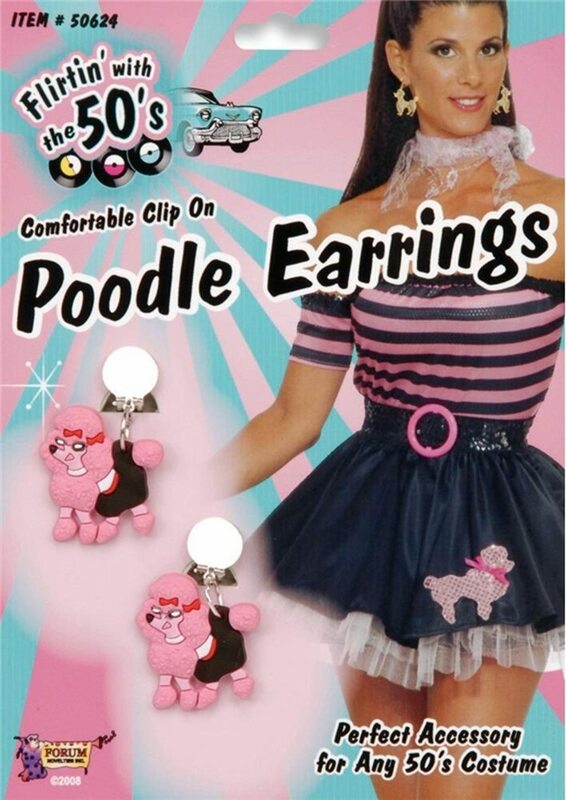 The Pink Poodle Earrings are great with your Pink Ladies Jacket and your Poodle Skirt for the perfect 50's outfit.